A fine, larger Rhodolite with full marks - fine color, flawless clarity and an excellent cut. 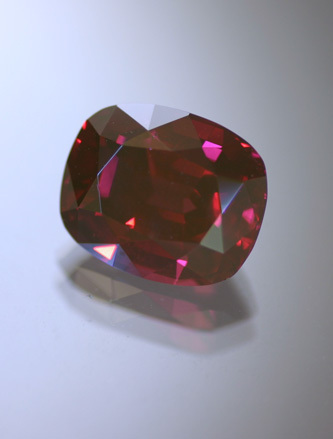 The color is an attractive purplish red - it is a dark tone, but the excellent cutting allows the stone to retain brilliance where lesser stones may darken up. Utterly clean and an attractive and popular shape shape that we rarely see. It is now quite difficult to find these in such sizes, they are simply unavailable or prohibitively expensive. Large and very fine.